There is an Orlando, Florida physician who recognizes that milk and dairy products are capable of transferring a bovine disease (Johne's) to humans. Dr. Ira Shafran has spent the greater part of his career developing non-traditional protocols for Crohn's treatment. I spoke with Dr. Shafran during this past week, and learned of an exciting new treatment that has successfully resulted in 72 percent of his Crohn's patients having their illness completely disappear after just 15 weeks. Like many men of science, Dr. Shafran's work has been violently rejected by many, opposed by most, and accepted by the very few. An Ohio physician and friend had a similar experience when the greater part of the medical community and American Red Cross campaigned against his once-controversial Heimlich Maneuver. Today, Dr. Henry Heimlich is credited with having saved the lives of many thousands of choking victims. It is Dr. Shafran's belief that most of his Crohn's patients contracted their illness after consuming milk or dairy products. Shafran rejects the USDA notion that pasteurization destroys that bacterium responsible for Crohn's. In fact, we discussed the latest evidence which indicates how easily these bacteria (mycobacterium paratuberculosis) can be incubated in labs directly from pasteurized milk sold in supermarkets. Dr. Ira Shafran's recently presented paper at the annual meeting of the American College of Gastroenterology will one day re-write what is taught in medical schools. Sadly, new and exciting medical knowledge is often slow to work its way through the healthcare system. Shafran now treats his Crohn's patients for 16 weeks with an oral antibiotic called xifaximin (also known as rifaximinin). Past treatments have included different antibiotics administered intravenously. In Dr. Shafran's most recent study and soon-to-be published journal article, twenty-one of twenty-nine patients were in complete remission after only 15 weeks of his 16-week study. The Forbes article is one generation behind regarding successful treatment of Crohn's. One day, this and other magazines will pay tribute to Dr. Shafran's brilliant disease-eradicating work. If you suffer from Crohn's disease, dealing with stressful situations may go a long way toward relieving symptoms. Regular physical exercise will help ease stress and aid in normal bowel function. Check for any food intolerances, such as milk or milk products. 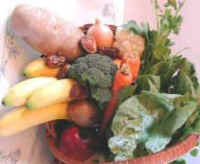 Eliminate any food from your diet that causes problems or doesn't agree with you. Avoid caffeinated substances, such as coffee, tea, chocolate and soda. Try to eat smaller, more frequent meals to allow for better absorption of nutrients and to help reduce bowel elimination problems. Drink plenty of water to aid colon function. Gradually add fiber to your diet, but should an attack occur, reduce your roughage intake until symptoms are relieved. Ask your doctor for additional dietary recommendations that may be appropriate.